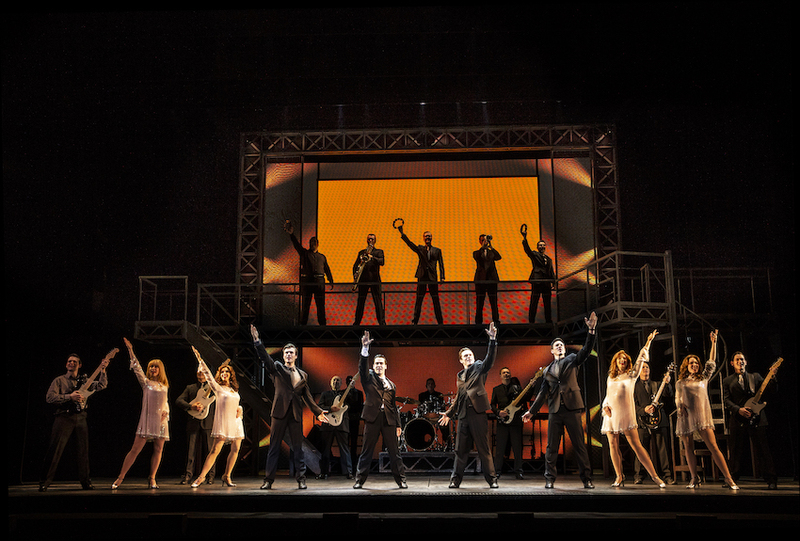 The performance opens with the curtain rising in silence over a blackened orchestra pit. Projected on a screen is text that anyone who has glanced at the cast sheet has already read (and anyone interested in classical music already knows): Tchaikovsky suffered with his homosexuality, and ended his own life drinking an infected cup of water. The screen rises and we see an older gentleman sexually servicing a younger man, perhaps a soldier. The older man pays for the privilege, and is left in his drawing room with a motif from Mozart’s The Magic Flute playing on his musical bird cage. Greeted by a chorus of men identical to him, the man, whom we are led to believe is Tchaikovsky, drinks the tainted glass of water and falls down dead. The opera subsequently starts, with superb playing from the Orchestra of the Royal Opera House under the esteemed baton of maestro Antonio Pappano. Baritone Vladimir Stoyanov, who is playing “Tchaikovsky,” rises and goes on to write the opera as it happens before our eyes, all the while playing the key role of Prince Yeletsky. Stoyanov juggles his two roles efficiently, but the interpolated role of Tchaikovsky runs out of material very quickly. 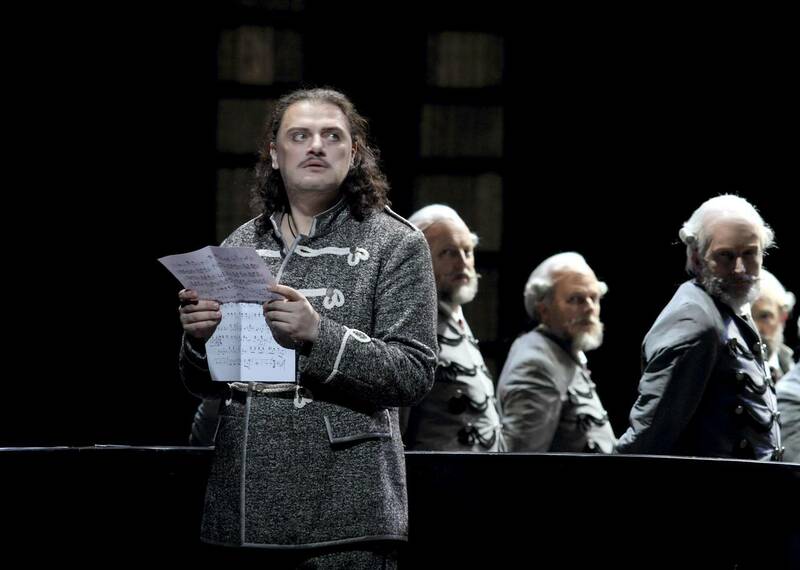 Director Stefan Herheim has Tchaikovsky conduct and watch and write and play piano; this could have made a clever opening to the opera, but it detracts from the storytelling to have the character always present and to have him constantly guiding the action in the opera. Stoyanov delivers an outstanding musical highlight with Yeletsky’s act 2 aria “ya vas lublyu” (“I loved you beyond measure”). In the lead role of Gherman, Tchaikovsky envisions the young man from the prologue, played by tenor Aleksandrs Antonenko. Antonenko sings with a suitably steely tone, but in the absence of solid breath support, his pitch tends to wobble rather alarmingly. Gherman ardently loves Yeletsky’s fiancée Liza, a role Tchaikovsky sees as the angel of death that cradled him at the point of his demise. 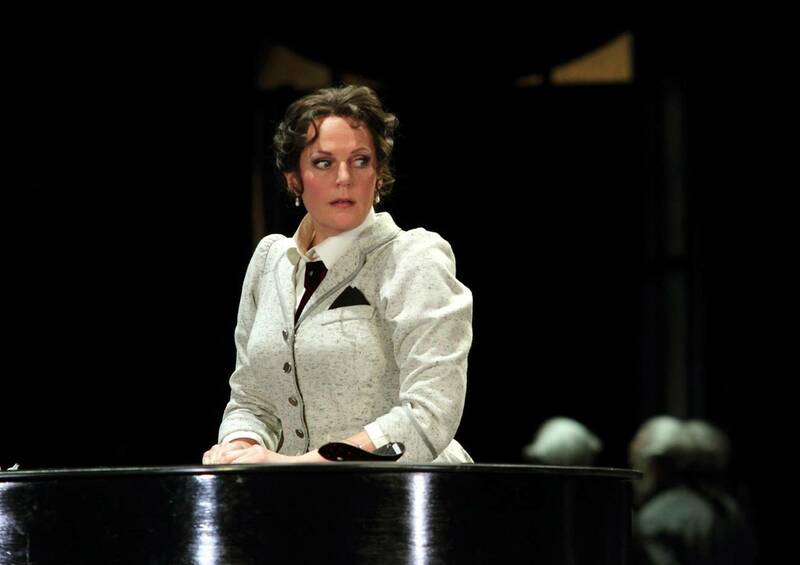 Soprano Eva-Marie Westbroek plays Liza as a sensible and serious young woman, and sings the role with vibrant power. Felicity Palmer is in stellar form as the Countess, keeper of the secret of the cards. A further standout is the excellent baritone John Lundgren as Count Tomsky. Designer Philipp Fürhofer has created a deceptively spaced setting of dark wood panelling. 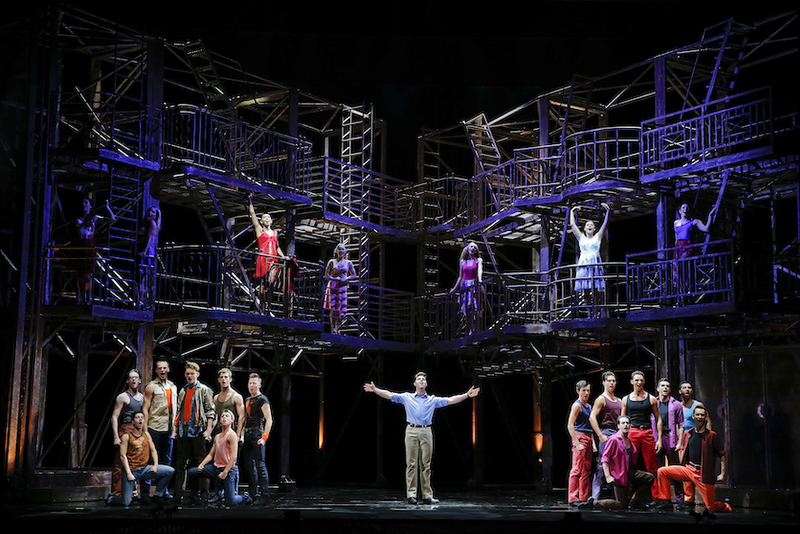 The setting can be a study, or can concertina out to a larger scale, its size magnified by massive central mirrors. 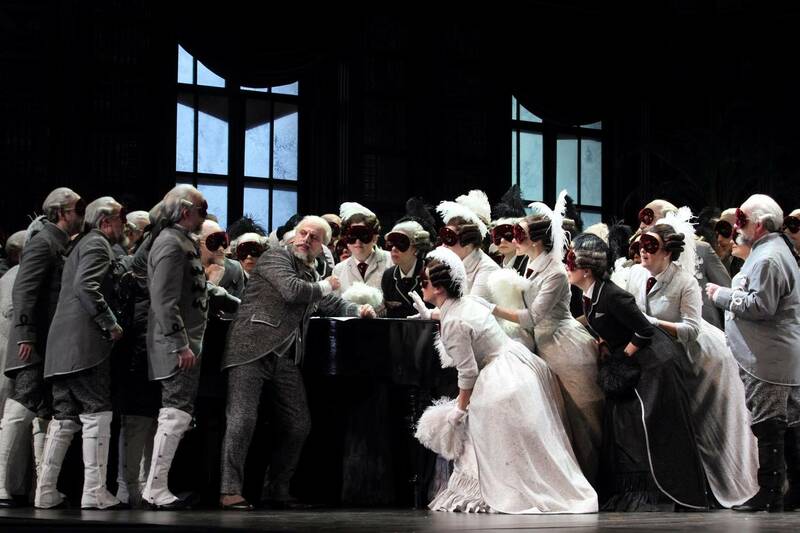 The concept is that the entire setting is Tchaikovsky’s home, because this is him writing the opera; unfortunately, this robs the story of the seven different scenes that are intended. In one spectacular sequence just before interval, the arrival of Catherine the Great is marked with the chorus singing in the aisles of the theatre. The mirrors reflect the auditorium, and crystal beads join the chandelier hanging overhead. 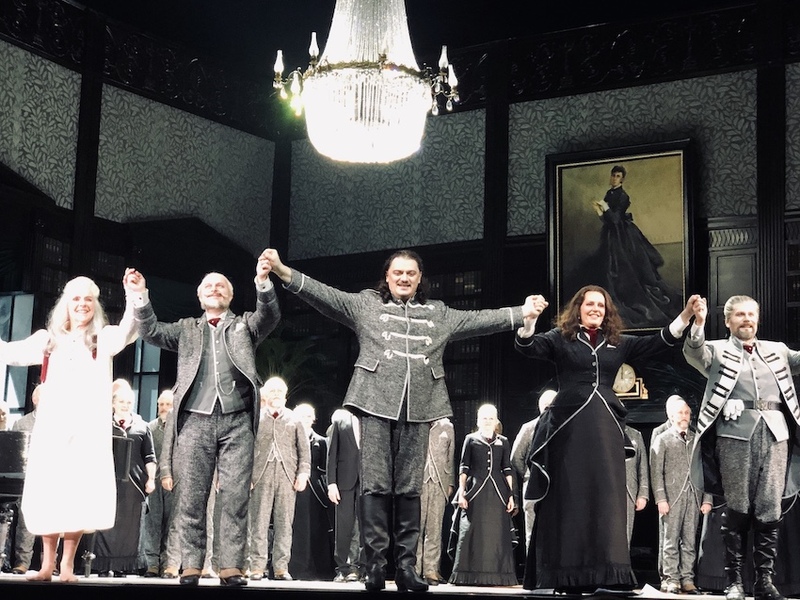 Being grey with white and black trim, the costumes are dull, but it cannot be denied that there is a striking impact when the number of chorus singers (including a children’s chorus) is so high. Over and above any of the lead singers, the Royal Opera Chorus is in superb form, and their performance is a clear highlight of the opera. For newcomers to The Queen of Spades, this interpretation is most unhelpful. 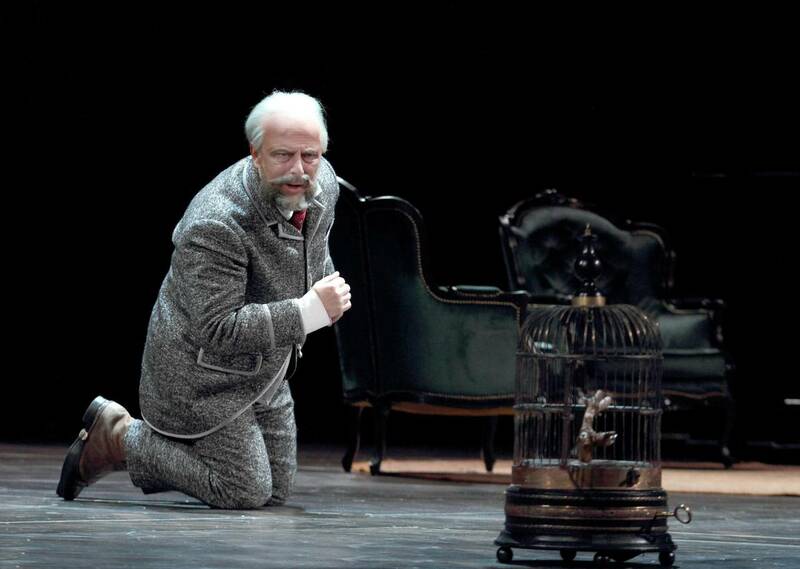 The impact of the original story is undermined by the gimmick of having the libretto on stage in Tchaikovsky’s hands. 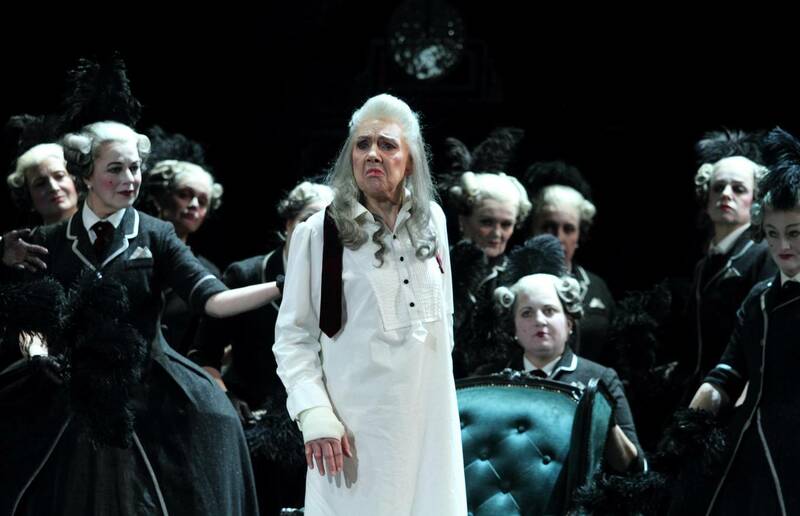 Given that The Queen of Spades is not performed overly frequently, attendance at this season would be based solely on a desire to hear the music. 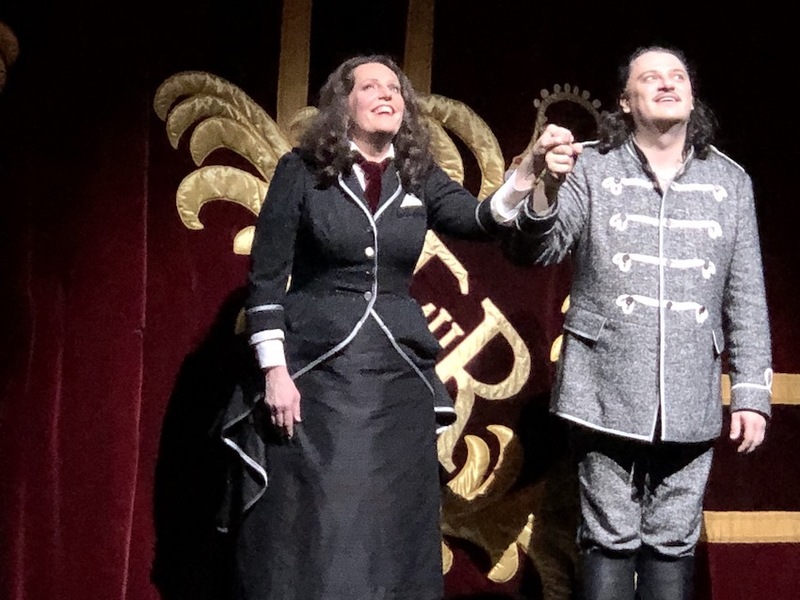 The Queen of Spades was reviewed 7pm Saturday 19 January 2019 at Royal Opera House, Covent Garden, London where it plays select dates until 1 February 2019. The Queen of Spades will be screened as part of the live cinema season on Tuesday 22 January 2019.